PhD in Computer Science at the Bar-Ilan University. Erel started his second degree studies while he was still an undergraduate student. His curriculum included research in collaboration with Refael (Israeli military industries) on "Finding an orbit for aircraft with the aid of graph theory algorithms". He served as a programming officer in the air force. Recommendation to Program participants: "The fact that the Program finances all of your needs allows you to dedicate all of your time to your studies. Make use of this time and study as much as you can, don't "waste" time working, this part of life will never come back!" 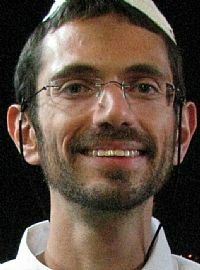 Today (2017): Erel is a lecturer in Ariel university, computer science department.